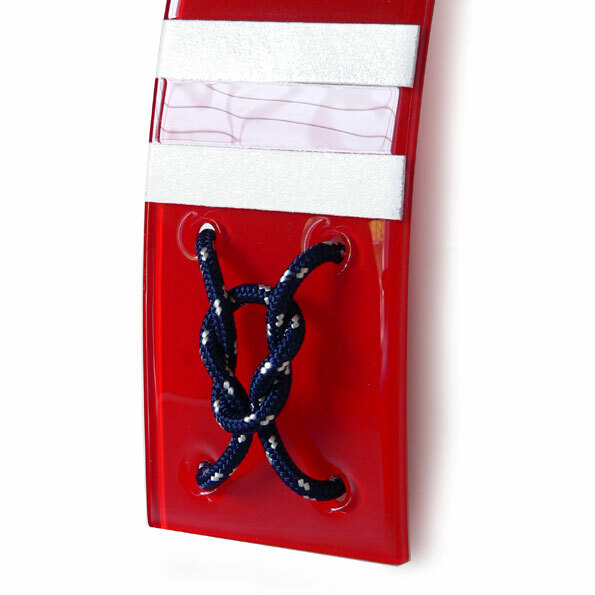 A fabulous design wall clock in a nautical theme. Favourite red, white and blue colours combine here. 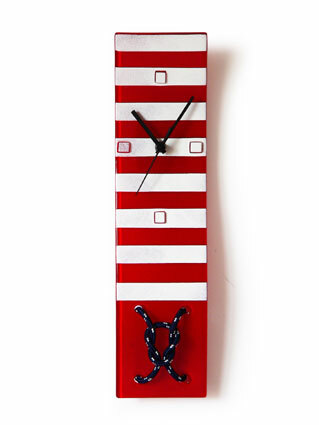 White and red stripes with blue rope knotted through the clock itself....yes, through the clock!! Size 41cm length and a chunky 10cm width. Perfect for all those sea lovers and travellers out there.